One of my favorites past times is watching the food channel. In fact, one of my favorite food shows is Bizarre Foods. Bizarre Foods with Andrew Zimmern focuses on the cuisine of a particular country or region from around the world which is typically perceived by Americans as being gross, unique, or, of course, bizarre. He typically shows how the food is procured, where it is served, and, usually without hesitation, eats it. 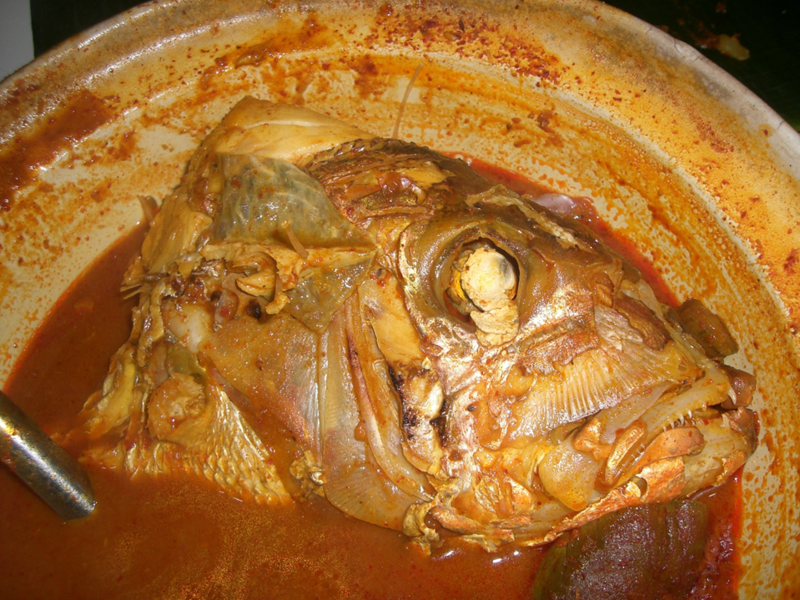 Some might say fish head curry is a bizarre food. When I first arrived in Malaysia and Singapore I thought why would anyone eat such a dish. Then I tasted it and understood why the hot curry spiced dish is a local favorite. In fact, after so many years of consuming so many fish heads, I can now say that I miss this savory Malaysia-Singapore cuisine. In time, the Malaysian-Singaporean culture conditioned me to like the smell and taste of fish head curry. It even conditioned me to like certain food colors, shapes, and textures. Culture is like that: it conditions us to decide what food we like and are best for us. In 1825 Jean Anthelme Brillat-Savarin wrote, “Tell me what you eat, and I’ll tell you who you are.” That statement is often true today. Knowing what culture another person comes from is often discovered in the food they consume. The food smells, tastes, colors, shapes, and even texture all tell us who people are and their cultural background. So, the things people eat tell us who people are and their cultural background. However, those same things that people eat trick us into thinking sometimes that those people are bizarre, strange, weird, or just crazy. Previous PostSacred Objects, Sacred Places, Sacred People (Postlude)Next PostListening, instead of speaking . . .